NOGALES, AZ - The produce industry has transformed quite a bit over the past half a century, but one thing that has held fast in the face of change is the Fresh Produce Association of the Americas (FPAA) annual produce convention. 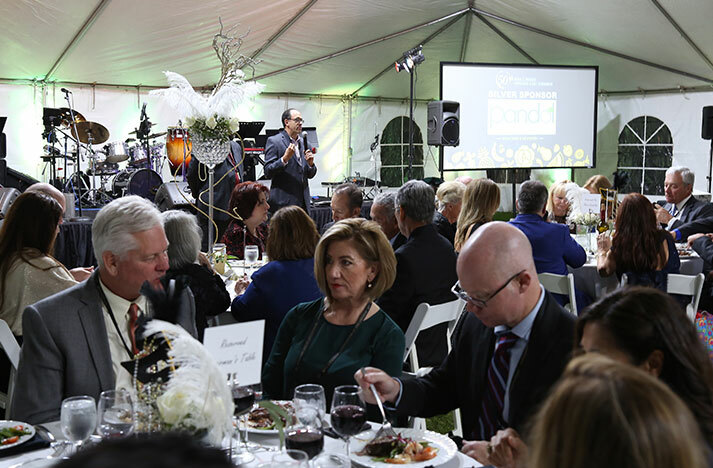 Last week, the Association celebrated its 50th year of throwing one of the premier events celebrating Nogales agriculture, inviting produce professionals from across the region to the Tubac Golf Resort for some much deserved rejoicing. From November 1-3, the Nogales produce show highlighted high-quality educational sessions, networking opportunities, and, not to mention, delicious fresh produce. "We had more than 800 attendees at the convention, and it was one of the largest to date, which is no surprise given all of the great events and the extra-special emphasis on our 50th year celebration," said FPAA President Lance Jungmeyer in a release from the Association. "Our guests commented on the quality of the speakers, the entertainment, and the sense of community our event is famous for." This year’s FPAA convention was one of many highlights, including Thursday’s educational sessions. Jim Mullen, General Counsel of the Federal Motor Carrier Safety Administration, and Bradley Hayes, Executive Director of the Office of Trade Relations at U.S. Customs and Border Protection, were among speakers at the show, as was Dari Duval from the University of Arizona, who spoke on the economic impact of the fresh produce supply chain on the U.S. economy. In addition, Thursday saw a panel of industry experts who discussed such hot topics as the new U.S. Mexico Canada Agreement (USMCA), blockchain, food waste, social responsibility, and beyond. "The produce industry is complex, and our educational sessions reflect that," said Jungmeyer. "We try to touch on some of the key things impacting members of the industry and to bring the experts on these issues so that we can foster a good dialogue." Thursday night ended with the always fantastic opening fiesta, held in the outdoor plaza of the Tubac Golf Resort. With live music, a photo booth, a gallery showcasing 50 years of Nogales Produce Conventions, and amazing food created by Chef Pati Jinich, the fiesta was certainly a celebration worth kicking off a convention 50 years in the making. "As a member of the board and an attendee, I appreciate a diverse program, which helped keep education sessions near seating capacity the whole day," said FPAA Chairman Scott Vandervoet of Vandervoet and Associates. "That momentum in attendance carried through to the whole event." 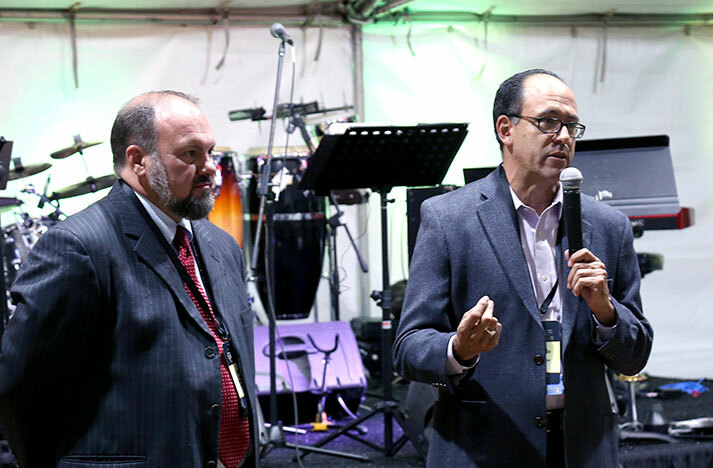 On Friday, the Consulate General of Mexico and the FPAA teamed up to host the 3rd Annual Culinary Showcase, inviting guests to experience food created by chefs across Arizona and Mexico. Participants were welcome to take a helicopter ride down "produce row" to the border and back and see for themselves how produce enters the U.S. and arrives at area warehouses in Santa Cruz County. The first-ever Women's Leadership Invitational was also held on Friday and celebrated women of the produce industry. 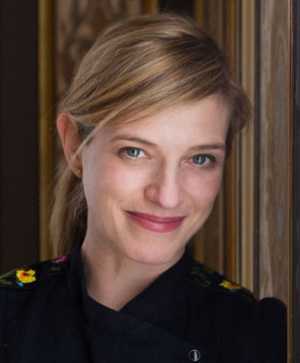 Sabrina Hallman of Sierra Seed Company, LLC led a panel discussion with guests including Cathy Burns of PMA, Rosie Cornelius of MAS Melons & Grapes, and Pati Jinich. Each speaker discussed lessons they have learned as women in their respective industries, strategies for success, and challenges they have overcome to be where they are today. "I was honored to be part of the historic and inaugural Women's invitational. I learned so much from the panel, which had such trailblazing women willing to share constructive insights for hardworking women, whether you are in the produce industry or not," commented Pati. "It was a delight to interact with the audience which was so engaged and shared so many fascinating and meaningful stories." Then, Friday night, the real party began. This year’s annual Gala was once again an elegant celebration, featuring entertainment, music, and special recognitions and awards. University of Arizona's Folklorico Dancers performed before Scott Vandervoet presented Rosie Cornelius with the Pillar of the FPAA Award. Given each year to Association members that have contributed greatly to the evolution and sustainability of the U.S. industry importing fresh produce from Mexico, the Pillar of the FPAA went to Rosie in recognition of her commitment to the community, industry, and, of course, the FPAA. Last but not least, the FPAA partnered with the Nogales U.S. Customs Brokers Association and the United Fresh Start Foundation to announce Little Red School #28 in Nogales, Arizona, as recipient of this year's salad bar donation. Feeling green with envy for those who were able to attend the 50th anniversary convention? You’ll be able to celebrate the 51st in Tubac, Arizona, November 7-9, 2019 for another landmark show. 2019 will be the 75th year FPAA as been an association, so it's definitely one not to miss.